Hyperspectral imaging is a new technique in remote sensing that generates hundreds of images corresponding to different wavelength channels for the same area on the surface of the Earth. Most available techniques for hyperspectral image classification focus on analyzing the data without incorporating the spatial information; i.e. the data is treated not as an image but as an unordered listing of spectral measurements where the spatial coordinates can be shuffled arbitrarily without affecting the final analysis. Despite the growing interest in the development of techniques for interpretation and classification of such high-dimensional imagery, only a few efforts devoted to the design of parallel implementations exist in the open literature. In this paper, we describe AMEEPAR, a parallel morphological algorithm that integrates the spatial and spectral information. 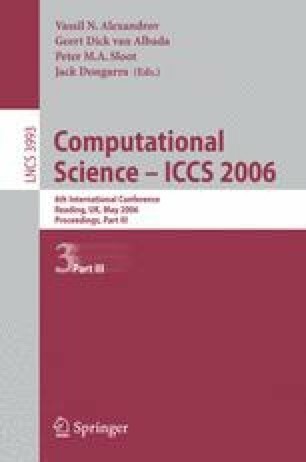 The algorithm has been specifically optimized in this work for execution on heterogeneous networks of workstations. The parallel properties and classification accuracy of the proposed approach are evaluated using four networks of workstations distributed among different locations, and a massively parallel Beowulf cluster at NASA’s Goddard Space Flight Center.